This book was recommended to me by a teacher friend of mine (Thanks Mel!). 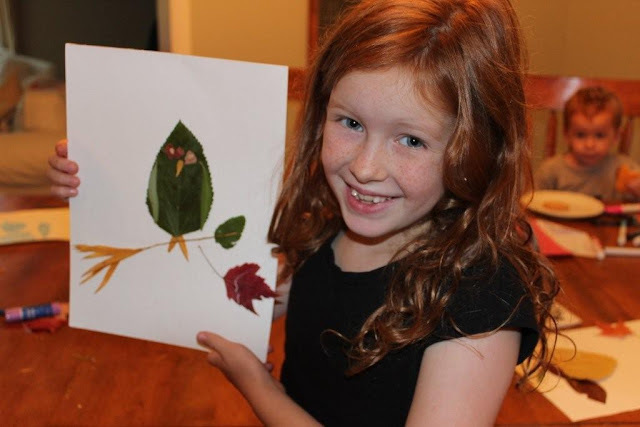 The animals created with leaves in this book are amazing! I thought it would be fairly simple to make something with leaves, but I was proven wrong. Maybe I'm just not patient enough...or artsy enough. However, I think my kids did a pretty good job of making their own animal creations. 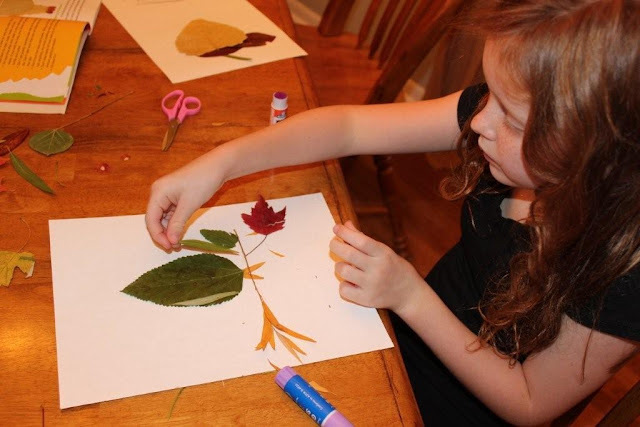 I collected the leaves a couple days before we did this project because you have to press them in a book to hold their color and shape. 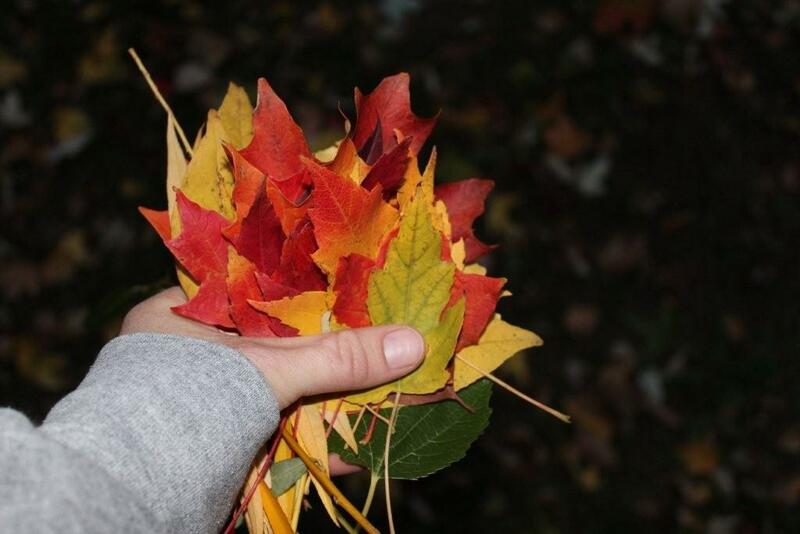 Then I read the book to the kids and laid the leaves out for them to pick and choose their favorites. 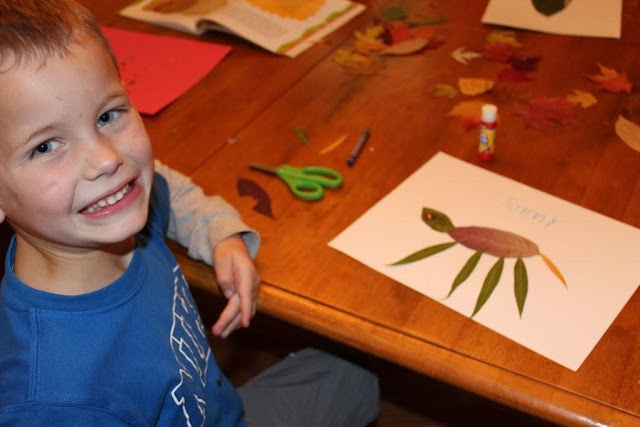 Altogether a fun, simple art activity. Linked up to The Unlikely Homeschool Weekly Co-op. LOVE LOVE LOVE your leaf art!!!! These kids are artists!!! I love it!!! I think they turned out pretty good!! I see a pile of leaves and the only thing I could make is a pile of leaves!